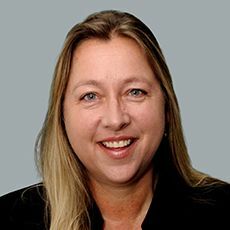 Robin is an expert in enterprise risk management, strategic planning, and program design, with 25 years of experience in the insurance industry. Robin co-leads Woodruff Sawyer’s Cyber Liability practice, which specializes in serving companies in all industries that have first and third party risks associated with the internet, e-business, networks, and informational assets. Her experience in technology, risk management, and brokerage positions is a unique blend which provides for a better understanding of clients’ needs. Robin enjoys working with all types of technology companies with a focus in Cyber Liability (E&O, Media, Network Security & Privacy), Property & Casualty, and Workers’ Compensation. Robin earned her bachelor’s degree from Santa Clara University. She has multiple insurance designations including: CPCU (Chartered Property & Casualty Underwriter), ARMe (Associate in Enterprise Risk Management), and AIM (Associate in Management).